One of my all-time favorite Christmas movies is this version of Frosty the Snowman. Of course there are many others I love just as much or even more, but this one is one of my very favorite to watch with the kids. The classics are the best, aren’t they!!?? 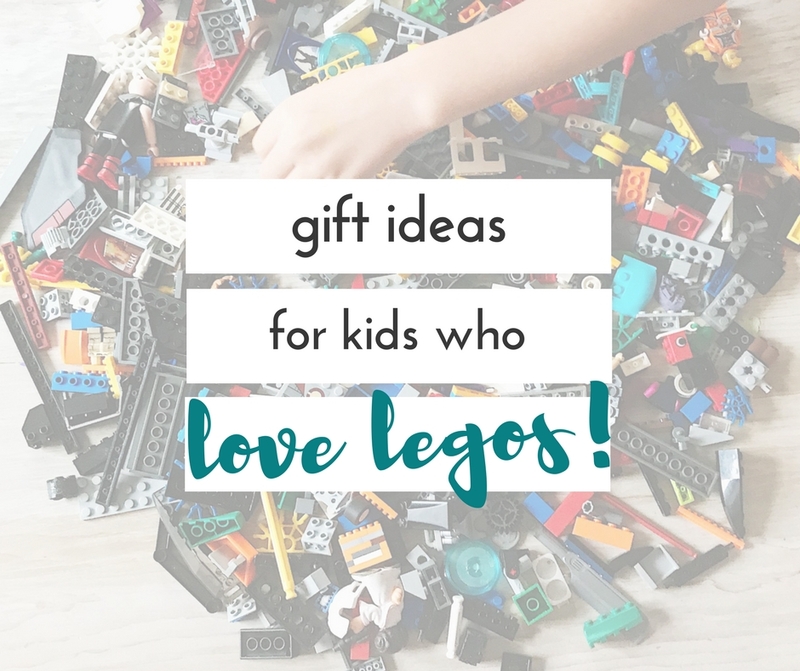 I’m also a fan of any activity the kids need little help with, can be done on a whim, and I give bonus points if the activity includes food meaning I won’t have to make another meal or snack. 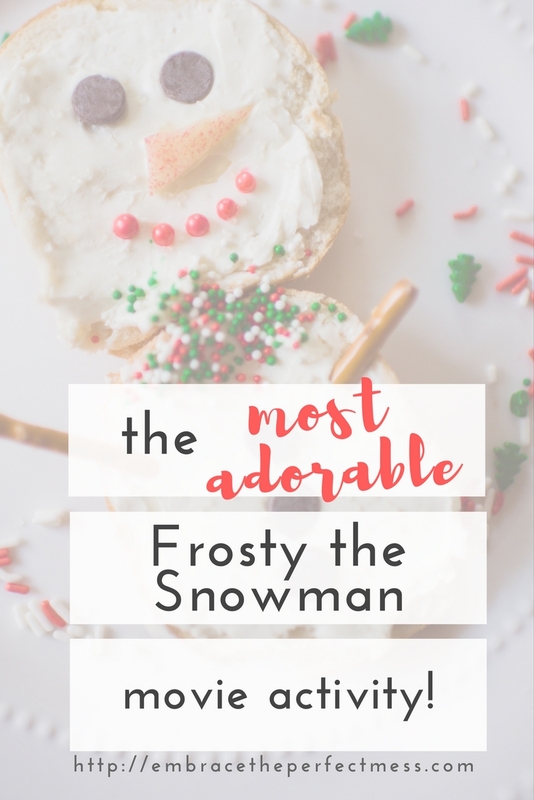 This is the perfect Frosty the Snowman activity, and it was simple to make, and delish! Plus, it’s adorable! 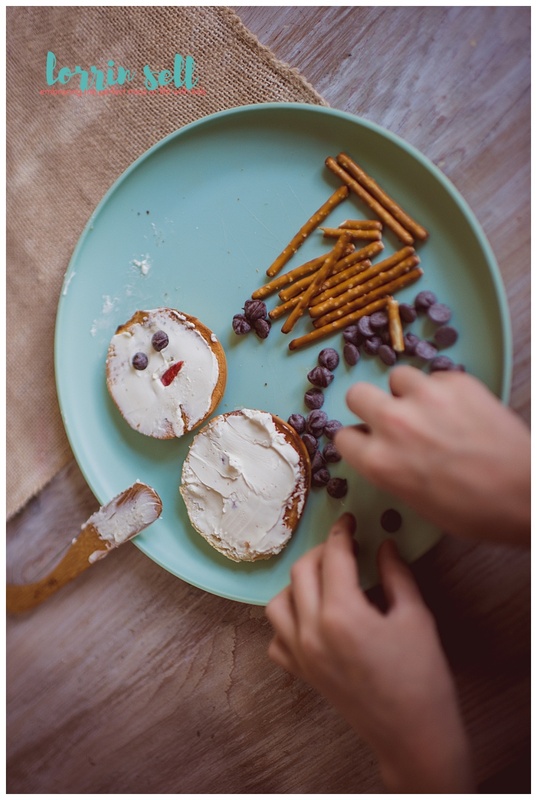 The easiest way to make the snowman bagels- especially if you’re working with more than one kiddo- is to put a little of each of the ingredients on a plate and let them do their thing. We used chocolate chips for the eyes, and the mouth. 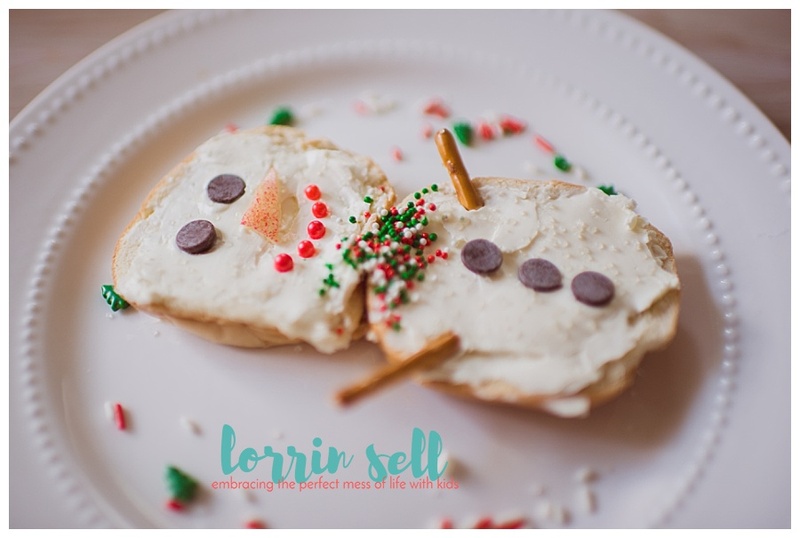 Sugar crystal sprinkles to make our snowmen sparkly. Sprinkles to make a scarf, and buttons. Pretzel sticks for the arms and apple slices for the nose. That’s what we used, but the possibilities are endless. You could use blueberries, raisins, or even go a different direction altogether, and use veggies! 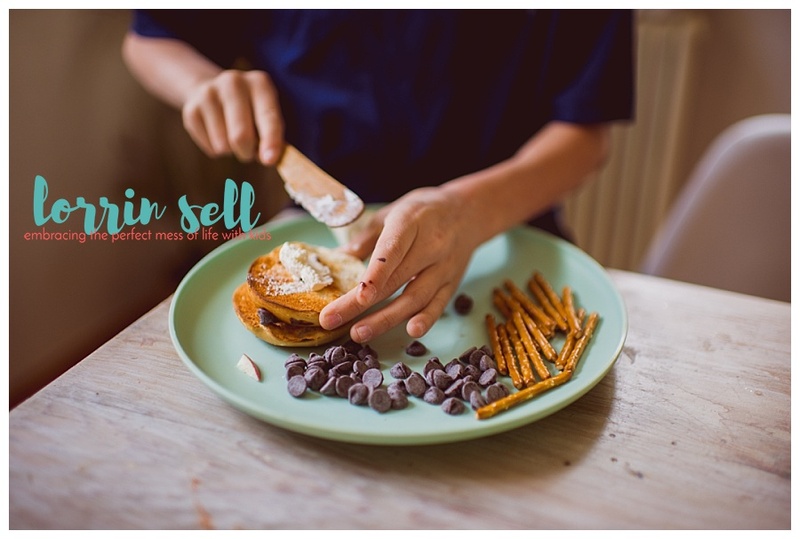 I loved that I didn’t have to actually bake anything (I did toast the bagels before giving them to the kids). Clean up was really quick too! 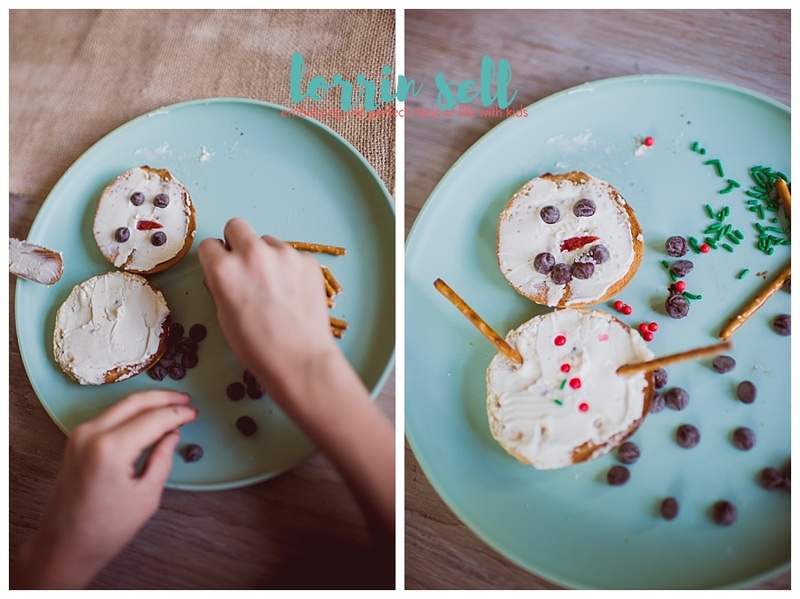 Once the kids made their cute snowmen, and they were ready to eat them, they used all of their extra supplies to make their bagels even more exciting (at least to them!). Mini bagels were the perfect size, and we didn’t have too many toppings, and they all sort of went together. 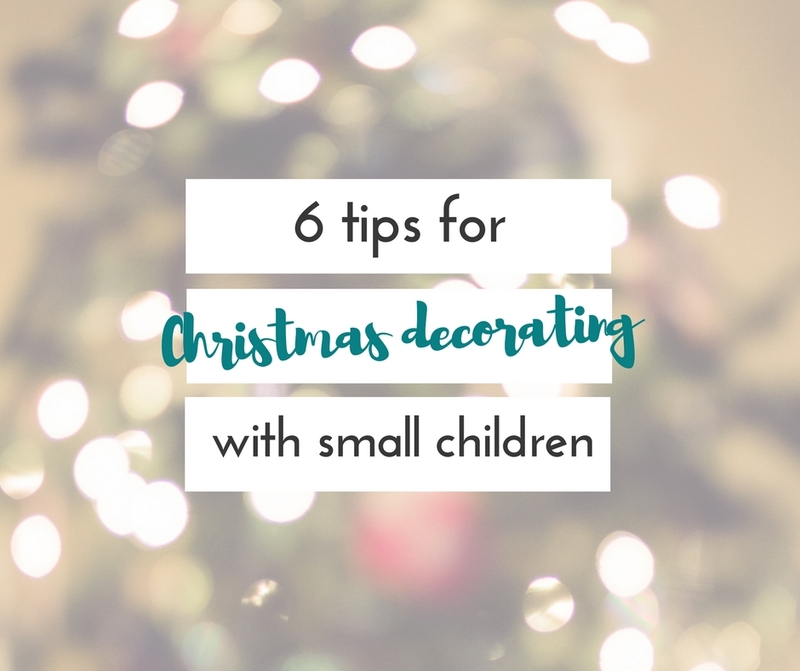 I really do think simplicity was, and is, the key to doing things like this with kids. When I give them too many options, they tend to mix a lot of things that don’t taste good together, and then the food ends up getting thrown away when they won’t eat it. No risk of that here, all of the bagels were gone! 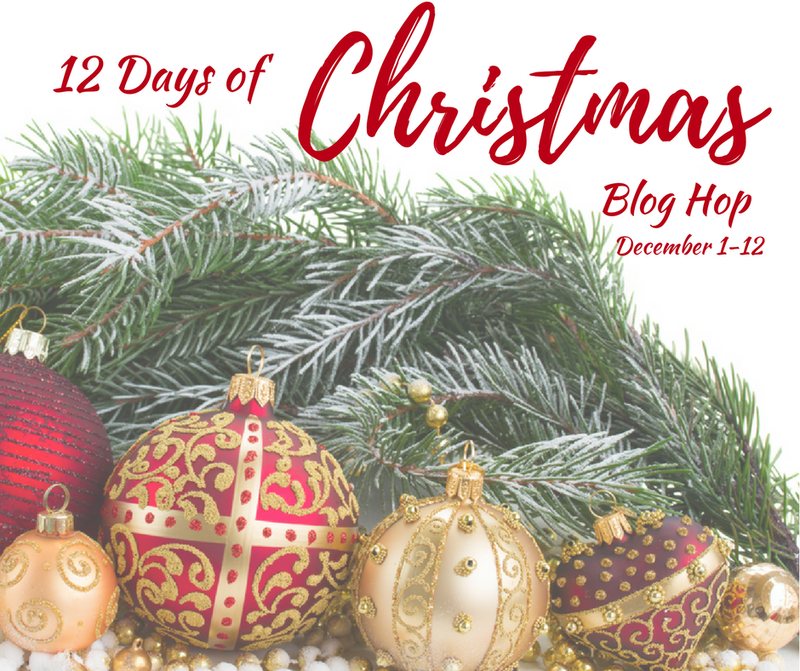 What’s your favorite Christmas movie?? Let us know in the comments! I love those old cartoon classics too! 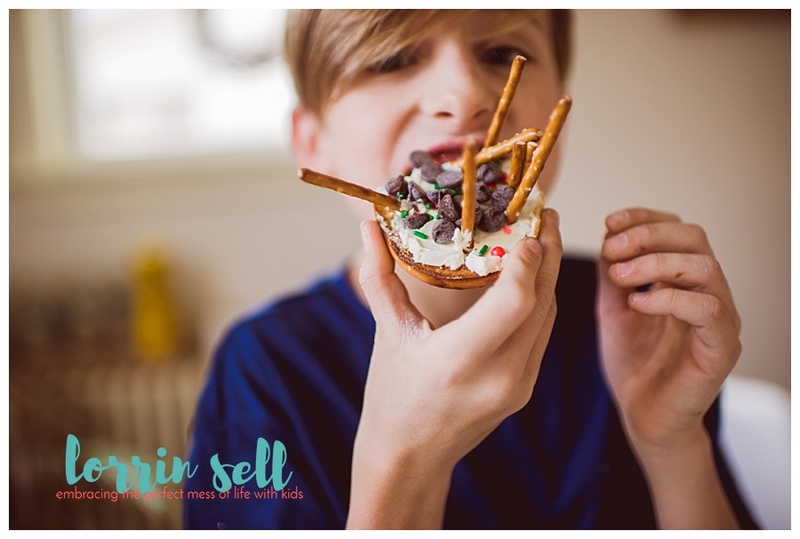 I also love food crafts where the kids can be involved! 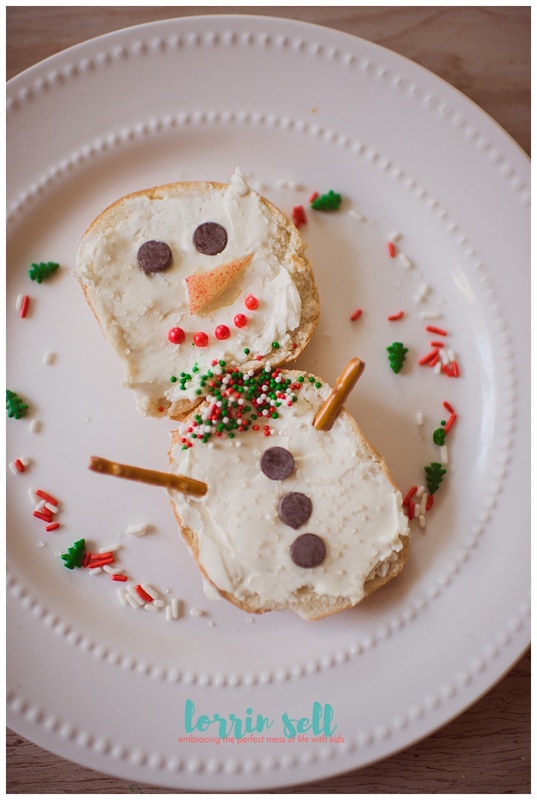 My kid is 27 now 🙁 but I bet she’d still love to create a snowman bagel… heck I’D love to make a snomwan bagel!! 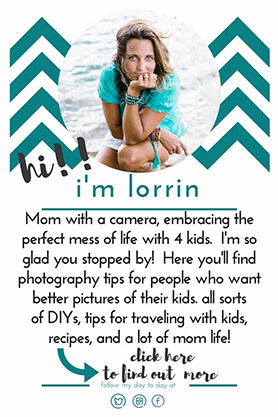 You mamas who come up with cute memory making ideas to do with your kids are inspiring. I swear I’ll be better when I get grand kiddos. Pinning this idea for them. 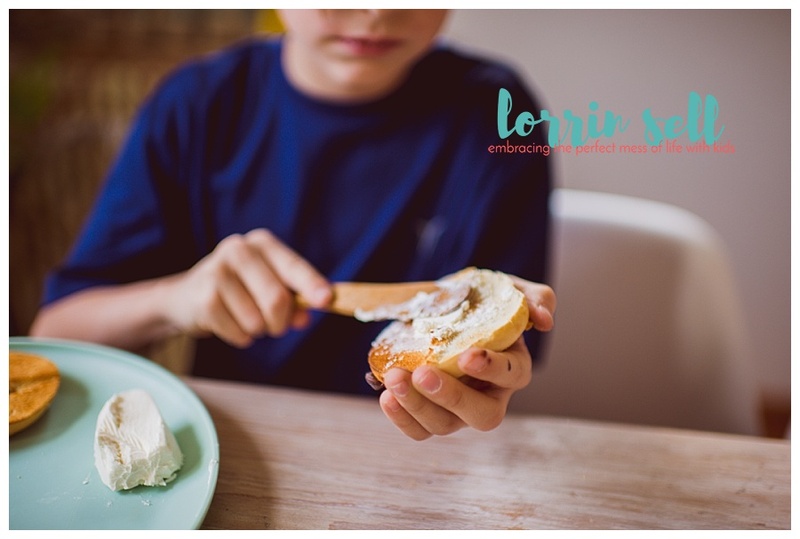 I love this idea, especially if it will get my picky eaters to try something new and delicious, like cream cheese! Adorable! This is so cute. 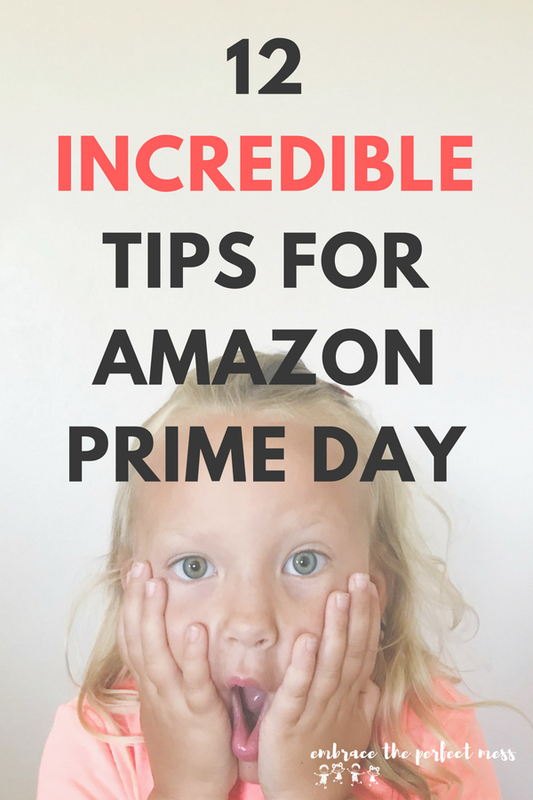 It is especially nice since it ties in with a favorite movie and is creating special memories with the kids.